Q. A nurse is caring for a client with poorly managed diabetes mellitus who has a serious foot ulcer. When she informs him that the physician has ordered a wound care nurse to examine his foot, the client asks why he should see anyone other than this nurse. He states, "It's no big deal. I'll keep it covered and put antibiotic ointment on it." 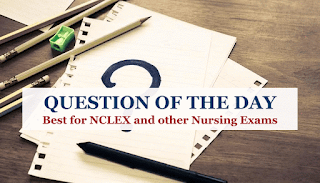 What is the nurse's best response? A. "We're very concerned about your foot and we want to provide the best possible care for you." B. "This is a big deal and you need to recognize how serious it is." C. "This is the physician's recommendation. The wound care nurse will see you today." D. "You could lose your foot if you don't see the wound care nurse." Explanation: The client's response indicates that he's in denial and needs further insight and education about his condition. Letting the client know that the nurse has his best interests in mind helps him accept the wound-care nurse. 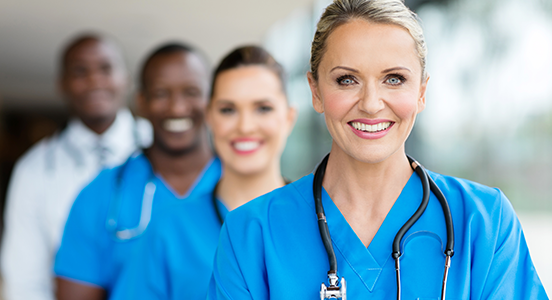 Although telling the client that his condition is serious and that the wound care nurse will see him that day are true statements, they're much too direct and may increase client resistance. Telling the client he could lose his foot is inappropriate and isn't therapeutic communication.